Roane County birth, death, and marriage records are available to qualified people (largely family members) for 1917 to the present from the state Vital Registration Office. Others can obtain these after 100 years for birth records and after 50 years for death and marriage records. The cost is generally $12. For vital records before 1917 and all divorce records, see the Roan County Clerk. 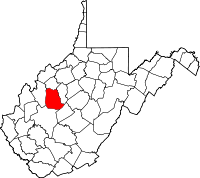 Roane County was created in 1856 from Gilmer, Jackson, and Kanawha Counties and named for Judge Spencer Roane from Virginia. Jesse Hughes may have been the first European to enter Roane County; many descendants of him and his wife still live there.